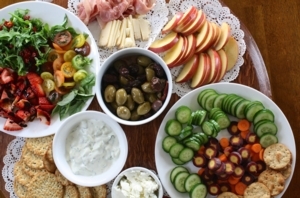 Thu, February 7, 2019 11:00 A.M.
McMenamin ShopRite's Dietician Nikita will be here to show us how to make some simple yet healthy appetizers and desserts. Heart healthy snacks, snacking on the go, and easy to make party pleasers are on today's menu! There will be a cooking demo and sampling, too! Program lasts approximately 90 minutes, and space is limited.